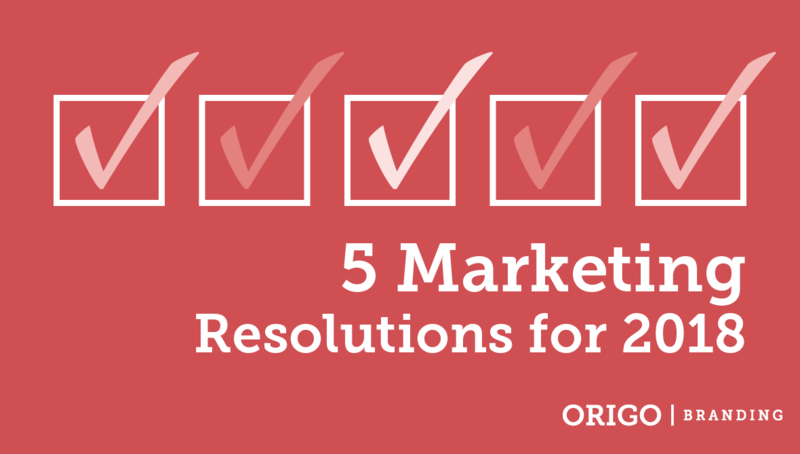 January is way too late to start making resolutions that will help shape your marketing in the coming year. With 2018 days away, this is the perfect time to re-evaluate your current efforts and start planning the coming year. Be strategic. A good marketing plan is rooted in strategy, and that strategy should help shape every touch point. Without a solid strategy, your efforts to attract customers are likely to be haphazard and inefficient. Your strategy should help develop and maintain relationships with your current and future customers, and able to respond to changes in customer perceptions and demand. It may also help you identify whole new markets that you can successfully target. Be clear. What conversions do you want to achieve? After you determine the desired results, determine how you want to position your brand in the market. In other words, how do you want your customers to feel and/or think about your brand? Building a solid brand is about more than selling your product. Be consistent. When it comes to your marketing touch points, including web content and social media posts, there are two things to keep in mind. First, anything you produce must be consistent in tone and appearance with your current brand. Also, marketing is hardly a “set it and forget it” proposition, so be sure to put out content on a regular basis, whether it’s an e-newsletter, a social media campaign, or direct mail pieces. Be fresh. Revamping your marketing materials, such as your website or other sales materials, will help reintroduce your brand to your audience, in addition to giving your brand a modern look and feel. The same also applies to keeping up to date on digital marketing trends—as you know, technology is constantly changing, which can also affect your SEO rankings. Be insightful. Utilizing insights gained from surveys can help focus your marketing efforts, in addition to adding add a people-oriented feel. Don’t be afraid to ask your clients for testimonials because they are a big help in building credibility, plus those thoughts can help hone your marketing strategy. Do you need help getting a jump-start on your 2018 marketing strategy? Is it time to refresh your current materials? Drop us a line at solutions@origobranding.com.